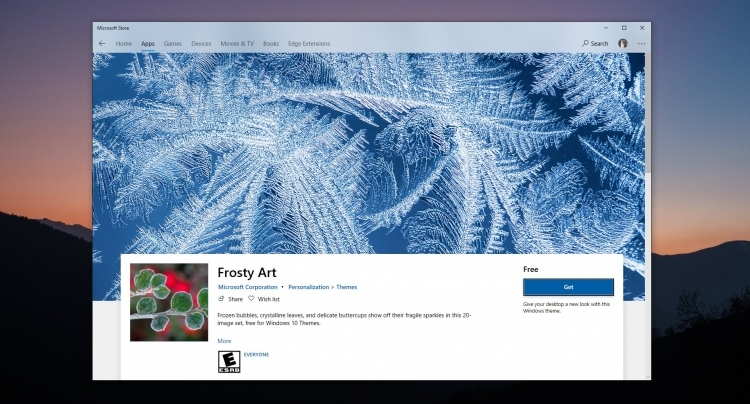 Microsoft introduced four new free themes for Windows 10 that are already available in the Microsoft Store. Assemblies only include new Wallpaper, updated no sounds or no other changes. Although by themselves the themes are quite attractive. stimulating in this way users to upgrade to the latest build. 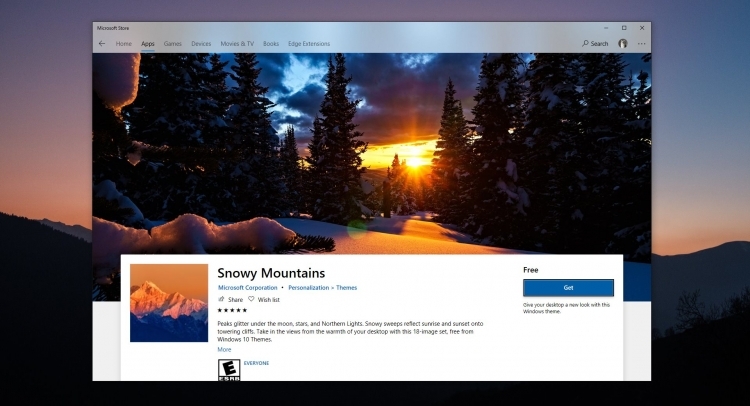 Also topics can be delivered in 10 S Windows, where the Microsoft Store is the only source of applications. A Win32 program to install there not, for this it is necessary to increase the system version to Pro and Home. As for download, the themes are installed directly from the store links above and then you need to go to Settings>Personalization>Themes and activate any version of the design. As expected, Christmas may be other themed appearance options for Windows 10. We will remind, earlier in a test build of Windows 10 has introduced a light theme. It affects all aspects of the operating system, including the start menu, control panel, task bar and so on. Earlier in Windows 10 has already appeared a dark theme. As expected, the bright design will appear in a release in the spring of 2019, when will the next major update for the operating system. It also promises a number of innovations in terms of expanding the functionality of the “tens”. But information about the long-awaited tabs in the “Explorer” is still there.